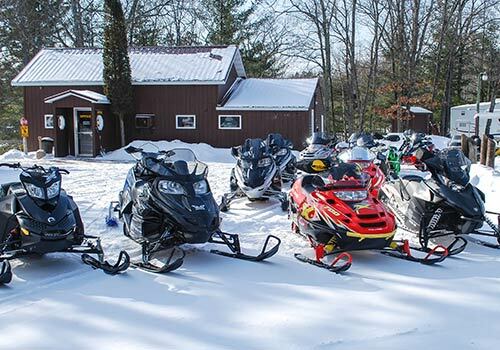 Top O’ the Morn Resort is located in the heart of Bayfield County and is a premier snowmobile destination in Wisconsin. 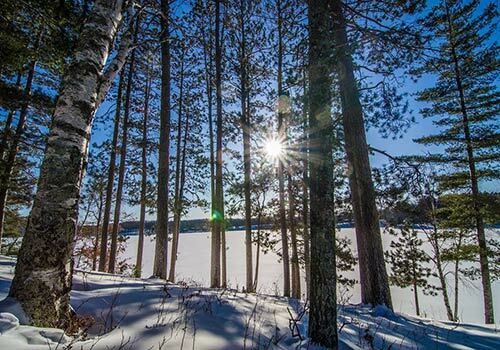 With over 600 miles of groomed snowmobile trails and over 1,000 miles of unplowed forest roads, this area offers some of the best snowmobiling in the Midwest! There are thousands and thousands of acres of Bayfield County and Cheqamegon National Forest lands to give riders peace, solitude, and wonderful sense of wilderness adventure. This detailed system of interconnecting trails can take you to a variety of destinations - from scenic overlooks to your favorite restaurant. We take pride in preparing our resort for the winter season. With direct access to the trail system right from your door, there’s no need to trailer your sleds anywhere. We keep our roads plowed wide and our parking areas extended as far as possible to accommodate anything from an oversized trailer to the largest groups with ease. We also monitor up-to-date trail conditions to keep you informed – and offer full refunds for conditions that are unsuitable for riding – so give us a call today!